The educational programs implemented in Kurilpa are unique because they reflect our community. They are based on supporting our families and each individual child’s development. Queensland kindergarten learning guideline (in the Kindergarten Room). Our qualified and experienced team develop programs within best practices in regards to the National Quality Standard. Our curriculum decision-making contributes to each child’s learning and development. Each child is supported and their current knowledge, ideas, culture, ability and interest makes the foundation of the program. The Early Years Learning Framework is an early childhood curriculum framework, which will guide early childhood educators in developing quality, early childhood education programs. The framework describes the principles, practice and outcomes to support and enhance young children’s learning from birth to five years, as well as their transition to school. This will help ensure consistency in the delivery of learning programs around Australia. Parents can be confident that the framework supports early childhood educators to focus their practice on delivering quality learning opportunities for young children. The Early Years Learning Framework underpins universal access to early childhood education and has been included in the National Quality Standard to ensure delivery of nationally-consistent and quality early childhood programs across the country. 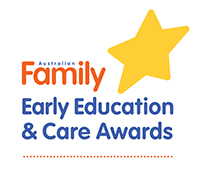 The Early Years Learning Framework along with Kurilpa has a strong emphasis on play-based learning. The framework also recognises the importance of communication and language (including early literacy and numeracy) and social and emotional development. In addition, the framework has a focus on successful transition to formal schooling. 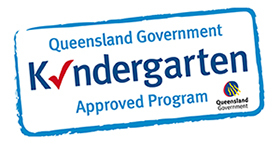 The Queensland Kindergarten Learning Guideline is a supporting document for the Early Learning Years Framework. It was put in place as an extension on the Belonging Being Becoming concept and it recognises that learning happens through play in an environment designed to make the most of spontaneous and planned experiences and relationships. The learning and teaching relationship is central to the QKLG; it is a collaboration between competent, capable children and their families, their communities and their teachers. By using inclusive, responsive and culturally sensitive practices teachers ensure that each child’s learning experience is one that enables them to make real connections with their wider world. (Queensland Kindergarten Learning Guideline – pg 4) The most important thing about being engaged with Kurilpa’s Kindergarten program is that your child has the opportunity to make heaps of friends and have fun while they’re developing a love of learning that they’ll take with them to school.